Simple, highly customized HR solutions for employers of all sizes and industries. Whether you need basic consulting and services, monthly essentials, or full-service HR, let KTimeHR be your trusted advisor. Best-practice advice, compliance guidance, audits, or special projects, we are your one-stop shop for customized human resource solutions. Employers must navigate challenging, increasingly complex, and ever-changing employment laws. We will keep you current, help protect your business, and provide peace of mind regarding employment-law compliance. 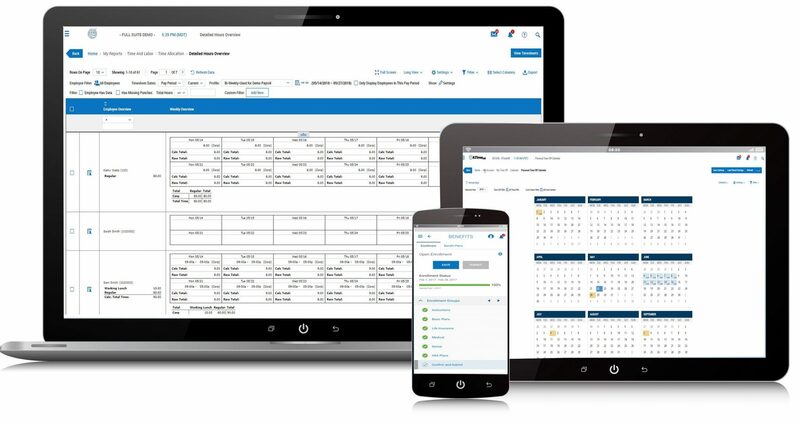 From pre-hire to retire, streamline employee-lifecycle management, including onboarding, status changes, personnel-file management, attendance tracking, payroll processing, and open-enrollment, in one easy-to-use system. Professional development of talent is essential for workforce productivity and employee satisfaction. We offer customized onsite training, webinars, and seminars to enhance employee skills and engagement. Attracting and retaining top talent is essential in positioning a company as an employer of choice. Increase your competitive advantage by partnering with KTimeHR for all your human-resource needs.